This week we have a pattern lookup request for a crochet egg apron. 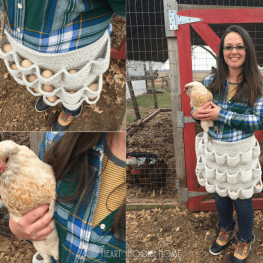 A crochet egg apron is a genius idea for those of you who have chickens. More and more people (including my sister!) are raising chickens. This egg-cellent apron will make gathering and protecting those precious chicken eggs SO much easier! Check out these free crochet patterns for this practical project and get crocheting because these will make unique and excellent gifts this year! If you prefer, Ashlea has PDF copies available for purchase for a small fee from her Etsy Shop too! 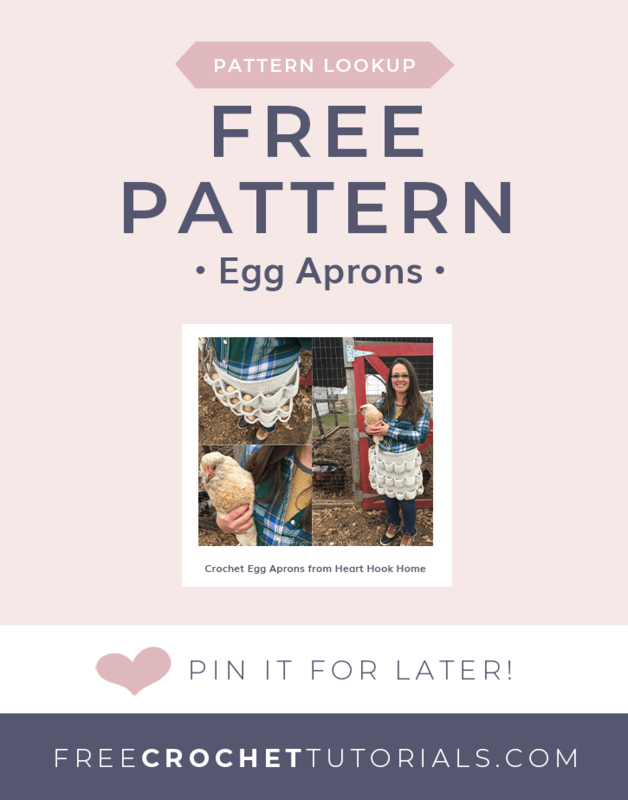 This easy-to-crochet pattern for an Egg Collecting Apron is available for free on Ashlea's blog. 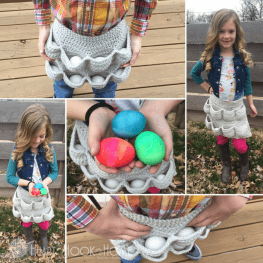 This crochet egg apron has room enough to collect 19 eggs! This Child Size Egg Apron Pattern holds 10 chicken eggs and is approximately 15 inches wide and 10 inches tall.